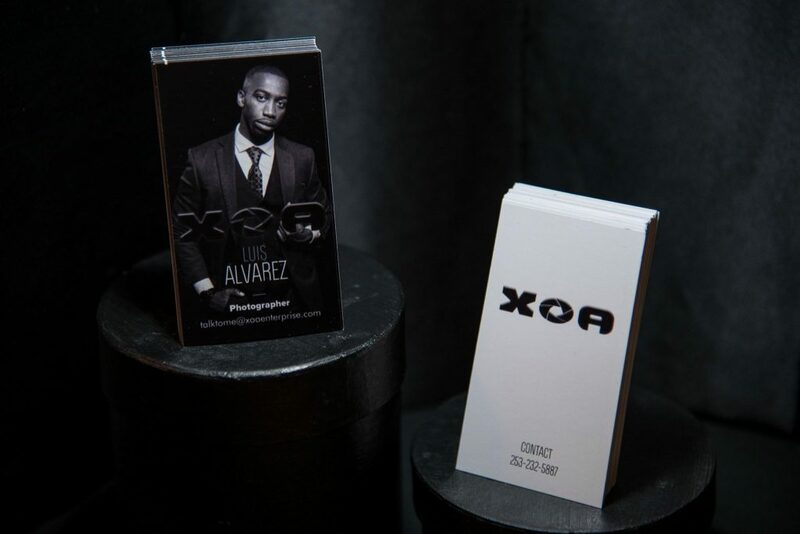 The Client, “XOA: Luis Alvarez Photography” requested a logo and a business card. No criteria was given so I basically had free reign to come up with anything I wanted. 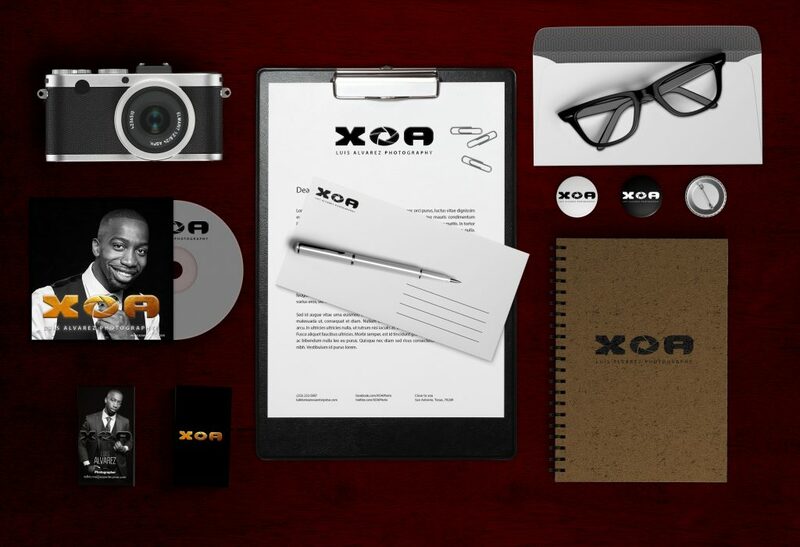 The mock up shows various applications but I only used it for the business card. Photograph of the cards printed against a black background. The font used for the logo is Delta Universe with the O being replaced with a stylized shutter.